Our Annual Fund provides essential support to the operating budget of the school. With your continued help, this unique and valuable educational experience remains available to our children and children in the future. By definition, annual giving is money given to OWS that is spent in that same year. Our fiscal calendar goes from July 1 to June 30, and these gifts directly impact the experience of our children now. Participating in OWS' Annual Fund is crucial to sustaining our programming and faculty needs, supplementing tuition aid, and contributing to the maintenance of our beautiful campus and buildings. The Annual Fund bridges the gap between our true operating expenses and the revenue from tuition for this year’s budget. Why does OWS have an annual giving campaign? All schools in the U.S., both independent and public, rely on gifts to make up the difference between tuition and the actual cost of educating students. The alternative, raising the tuition costs by 18%, would make education at Olympia Waldorf School prohibitive to many families. Subsequently, the community would become less economically diverse, and enrollment would decline. Will my gift make a difference to Olympia Waldorf School? Each and every gift is critical! The participation of every family is a measure of confidence in this amazing school and a show of gratitude for what OWS is offering to our children. If every family contributes generously, according to their ability, we will continue to thrive. Is my Annual Giving gift tax deductible? 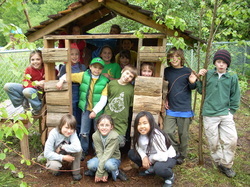 Olympia Waldorf School is a 501(c)(3) organization. No goods or services are provided in exchange for your contribution, which is tax deductible to the extent provided by law.